The first thing to keep in mind is this; people are not on social media to buy your products or use your services. At the same time, that doesn’t mean they won’t, which is why paid social advertising can work well! Another thing to keep in mind is this; everyone is on social these days. It’s no longer isolated to specific demographics like it used to be. Daughters to grandmothers, sons to grandfathers, everyone is on social! 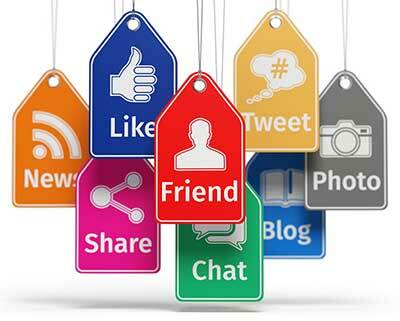 All that said, how important is social media marketing to your business? Simply put; Very IMPORTANT! Why is Social Media Marketing So Important? First and foremost, it humanizes your company allowing you to put a face on it, and personality to an otherwise faceless corporation. Next, it allows you to learn about your audience through observing and listening, which is an essential part of digital marketing, as it provides valuable audience intelligence. Next, it provides you with platforms for your company’s voice which allows you to add value to the conversion, and manage your reputation. Last, it has a significant impact on search engine optimization or SEO. Without an excellent social footprint, you will be hardpressed to see good organic results. Put it another way; some want to be the person that others turn too for answers. Others want to be the person seen with the newest and coolest stuff. Some are seeking an emotional boost, dopamine hit; and last, some are very passionate about a topic and use social media to connect with the crowd. Social Media Marketing can seem overwhelming at first glance, i.e., without a plan. If you want to succeed at social media marketing, over just running social ads, then it is essential to build a social media marketing plan that lays out your goals and defines your KPIs. Without a plan, there is no sense in engaging social media outside of ads as it will quickly become overwhelming. That said, before you go, create your goals! One of the mistakes made by some Social Media Marketers, is they post their content, in its entirety, on social media platforms. What this does, is it builds links and popularity for the social site instead of your own. That said, it is essential to use a Social Media home base so that your site is receiving the benefit of your content, not the social site. Social sites don’t need your help building them up. 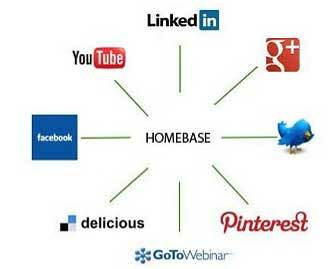 If you want to get the most out of your social media marketing budget, please use the home base strategy. Do You Need to Get Involved? There are not many businesses these days, that won’t find their audience on social media. Whether on Facebook, Twitter, LinkedIn, Pinterest and a host of others, at this point, all businesses need to get into the game. And, if organic search results are important to you, social media marketing is no longer helpful to have, it is a must.